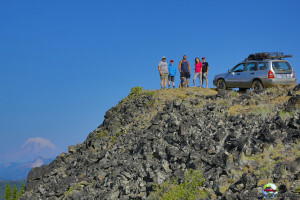 Explore an all new Subaru-Adventures.com film of the Pacific Northwest and discover the wonders of nature that are so prevalent, from the snow-capped mountains of Mount Rainier to the Oregon Coast in a Subaru Outback. Within a week in July, we covered approximately 1,500 miles in the 1999 Subaru Legacy Outback previously owned and maintained by Chris. The Subaru made it for a successful trip with the addition of an 8-foot awning and a custom built solar heated shower using ABS pipe. I used a 4 inch ABS drain pipe, 6 feet long, which gave a capacity of 15 Litres or 4 US gallons. On a Friday, we set forth towards Ashford, Washington State to explore parts of Mount Rainier and Bethel Ridge with Gregg, Carsten , and Michael in their Subaru Foresters. Gregg made the long journey from Oregon with a compromised head gasket issue where the exhaust gases were overheating the coolant system. Without any doubts, Gregg regularly let the EJ25 cool down through out his trip over the weekend with no further issues. Michael also was dealing with some issues in his drive-by-wire accelerator pedal in the 2006 Forester while exploring parts of the Back Country Discover Route. On the first evening, we set up camp at Glacier View, providing an incredible view of Mount Rainier from the South. 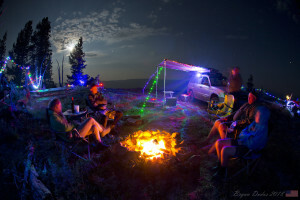 The next morning, we packed and set for forth to Bethel Ridge, Washington via Packwood. The entire week called out for sunny clear skies. Upon arrival at the Bethel Ridge Camp, we were greeted by a 30°-45°slope to ascend the camp spot. It had been four years since Gregg and I were here last with the Loyale and his Forester. 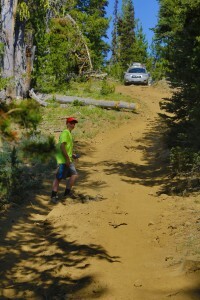 Without low range in the Subaru Outback, I was hesitant about the hill climb. After attempting twice, I realized the 4.11 gearing and the EJ25 would not be enough so we ended up unloading the Outback to eliminate some of its weight. Unfortunately for Michael, the electronic pedal assemblies’ rheostat was not functioning properly to provide him enough power for the ascent. He was forced to keep the vehicle at the bottom and hand carry his gear and make a shelter for the night with his pit bull named Lucy. As the sun set behind Mount Rainier, the mountains and hills glowed of different shades. As everyone departed the next day, we prepared ourselves for our next hike, Winchester Mountain Lookout.